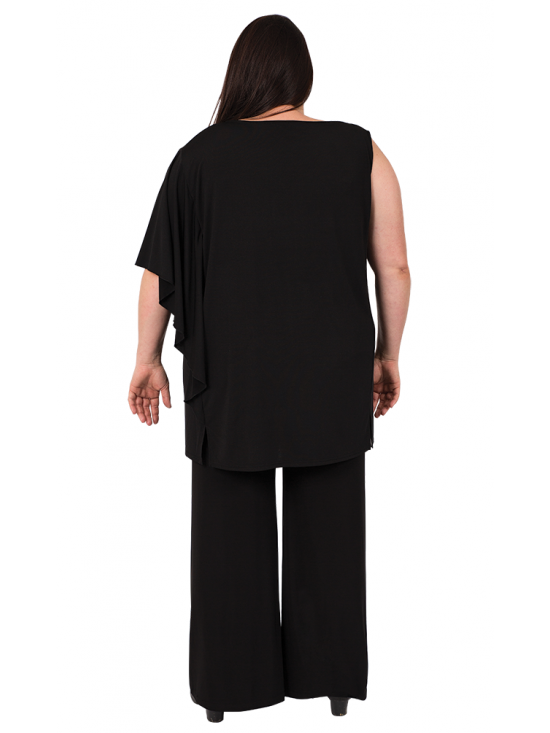 Elegant one-sleeve black plus size top is on trend for summer. With an asymmetric neckline and sleeveless on one side it features a gorgeous flutter sleeve for a lovely soft drape and side splits from the centre panel in front and back. Inspired by contemporary off the shoulder trends, it's a beautifully modern and sophisticated look that's still versatile, easy and flattering to wear. Team it with Black Coulottes of Fun or our new Slip Away Crinkle Skirt for an elegant look for a special occasion.